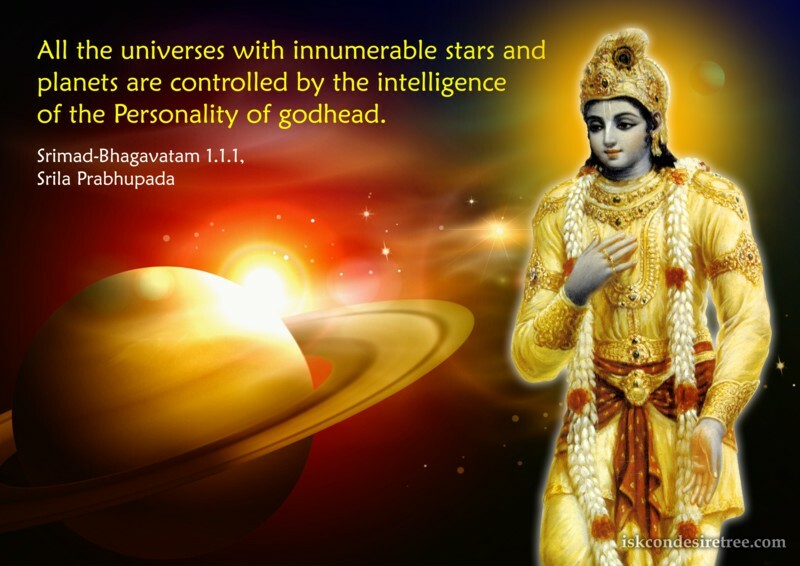 All the universes with innumerable stars and planets are controlled by the intelligence of the Personality of Godhead. Intelligence refers to the power to analyze things in their proper perspective, and knowledge refers to understanding what is spirit and what is matter. Real intelligence is to see that for all our attempts to manipulate the material world we have to suffer. The Supreme Lord speaks the truth and to the degree we follow that truth, we are intelligent.